Looking for the best Chevy trucks for sale can seem overwhelming, and we understand that. We’re professional car and truck sellers, and even we know how it feels to start looking for something you want to buy and immediately feel like you’re drowning in too many options, technical language, and impossible financing offers. 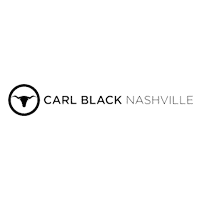 At Carl Black Nashville, we pride ourselves on putting the customer first and working with you to find just the right Chevy truck for your needs, at a budget that makes sense for you. Don’t feel overwhelmed, and don’t let another dealership try to make you feel pressured into a decision that doesn’t fit your lifestyle. There are a lot of Chevy trucks for sale out there, but picking the right one isn’t just about the truck that looks the nicest or has the most power. It’s about a truck that will keep you and your family safe, will be the workhorse you need, and will keep you on the road for many years to come. Take a look at some of your options, and when you’re ready, we’ll be ready at Carl Black Nashville to work with you and put you in the Chevy truck that best fits you. If you’re in the market for a new Chevy truck, then look no further. 2018 is rolling to a close, so let’s talk 2019 – the newest and hottest trucks that are just starting to hit the road. Everything we’ve seen tells us that this will be a good year for trucks, not only in terms of style and power but incredible technology and media features like Wi-Fi and built-in charging terminals for your devices. We know that a solid Chevy truck needs to be a workhorse that more than pulls its weight over the course of its lifetime, which is why these newest models have us more excited than ever before to help you get into the right truck, right now! 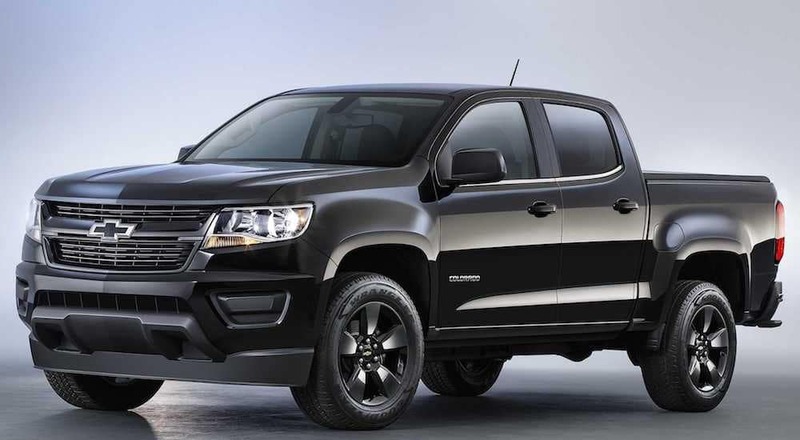 We’re talking Chevy trucks for sale, so let’s start with the beautiful 2019 Chevy Colorado, a perfect blend of world-class safety features and great tech options. It starts with safety because nothing is more important. It doesn’t matter how good a truck looks or how much it can haul, if it can’t keep you, your co-workers, and your family safe, then it’s not worth a dime. The 2019 Chevy Colorado is built strong to keep you safe thanks to a high-strength steel frame, reinforced safety cage, dual-stage front and side-impact airbags, and incredible traction control. You want power? The Colorado has three engine options: a standard 2.5L I-4, a 3.6L V6, or a 2.8L Turbo-Diesel – so no matter how much power you need, we’ve got you covered. It also has a nice, quiet cabin with a ton of tech features and options. You can choose multiple USB ports, a wireless charging system, and compatibility with Apple CarPlay or Android Auto – so no matter what tech you prefer, you’re good. The Colorado can even come with Bluetooth connectivity and built-in 4G LTE Wi-Fi, but it’s up to you to decide if that’s better for work or play. When you start looking at new Chevy trucks for sale, you’re going to notice the 2019 Silverado, and for good reason. You’ve got a lot of options, however, so let’s start with the Silverado 1500 LD because it needs to be discussed. If you like control on the road, this is a perfect choice since it’s a 6-speed automatic with auto-manual, making it easy to cruise when you want to and take control when you need to. It’s got a 355-hp, 5.3L V-8 engine, so this is a great choice for a work truck that needs to be able to haul lumber, drywall, or anything else. But all this power doesn’t come at the expense of safety. You get 4-wheel disc brakes, front and overhead airbags, side-impact airbags, and traction control all standard. This beauty comes with a monitor touchscreen in the front and wireless phone connectivity standard. Plus you can pick up 4G LTE internet access and more features if you’re looking to have some fun with your workhorse. Now we’re talking about serious Chevy trucks for sale. If you want a full-size truck that won’t let you down and will keep working for years to come, you can’t go wrong with the Silverado 2500HD. This thing is Heavy Duty and that means a truck that gets the job done every time. The Silverado 2500HD with the standard 360-hp 6.0L V8 engine can tow up to 14,400 lbs – if you step that up with the available 445-hp 6.6L Turbo-Diesel V8, then you’re talking about a towing capacity of up to 15,400 lbs. This is the perfect choice for hauling trailers, boats, and just about anything else that you need to take with you. Power is great, but we’re talking 2019 Chevy trucks here, which means we want more. The Silverado 2500HD has StabiliTrak with trailer sway control that works with trailer brakes to keep whatever you’re hauling under control. You get a 7-inch color touchscreen display, comfortable seats with plenty of interior space, and a quiet cabin with USB ports and available wireless charging for smartphones. Not to mention a high-strength, fully boxed steel frame, multiple airbags, and options for collision alerts and lane departure warnings to help keep you safe. If you want incredible power and features, there are other trucks, and then there is the 2019 Chevy Silverado 3500HD. When you see a truck haul away a loaded trailer and you wonder how it has the strength to pull all that weight, this is that truck. With the standard Vortec 6.0L V8 engine, you get 360-hp, 380 lb.-ft torque, and a towing capacity up to 14,200 lbs. Not enough? Then step up to the available Duramax 6.6L turbo-diesel V8 and you get 445-hp, 910 lb.-ft of torque, and a towing capacity of 23,100 lbs. You also get 6 airbags, front and rear parking assist, lane departure warning, and StabiliTrak control all standard. The Silverado 3500HD comes with an 8-inch color touchscreen with navigation and entertainment controls, a Bose sound system standard, and Bluetooth connectivity, so you’ll get a lot of use out of this truck on your days off too. Not looking for a 2019 Chevy truck? No problem. We have a wide selection of pre-owned Chevy trucks for sale too, all in beautiful condition and up to any task you throw at them. 2016s, 2017s, even 2018s all available right now. Crew cabs, extended cabs, Silverados and Colorados, whatever you’re looking for, come take a look at what we have. There’s no pressure, no sales tricks, just great trucks and a staff who care about finding the right ride for your needs. That’s what buying a truck should be: go to a lot, talk to people who love cars and trucks, and find the right truck for what you need. We have a huge selection of Chevy trucks for sale, new and pre-owned, and we want to make sure you find the truck that fits your lifestyle and needs. Come and take a look, you’re going to like what you see.